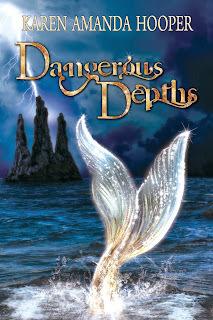 Author Heather McCorkle: Dangerous Depths is Finally Here! 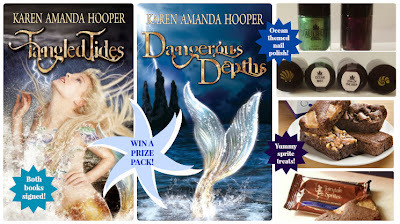 by Karen Amanda Hooper, has washed ashore. 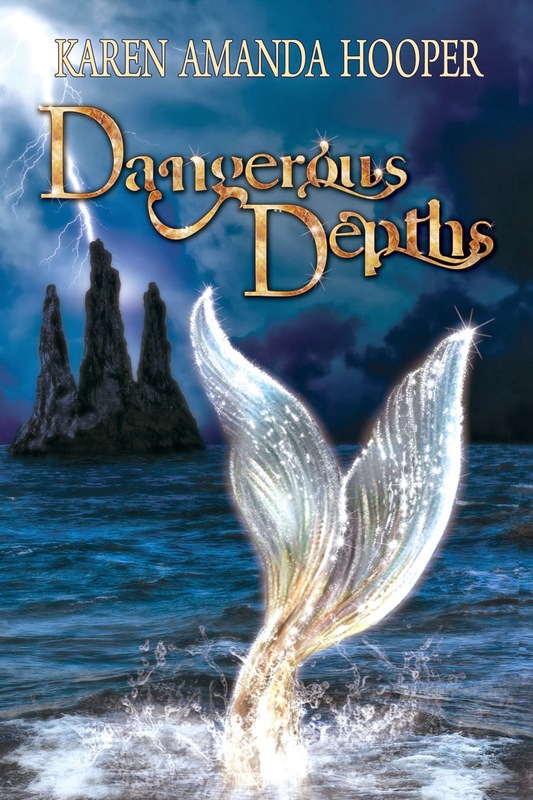 This is one of my favorite series, and the first one was one of the best mermaid books I've ever read. I've been waiting very impatiently ever since I finished the first book, Tangled Tides. The sequel to TANGLED TIDES is now available, and the underwater cast of merfolk, selkies, sirens, gorgons, and even water sprites are in for some very turbulent waters. Check out the book info then enter to win a prize pack including signed books, yummy treats, and sparkling beach-worthy nail polish! 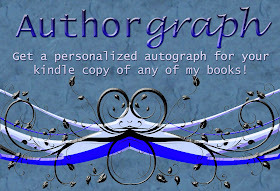 are giving away a prize pack to one lucky winner. Congrats to Karen! I really need to start this series. Happy Thanksgiving! 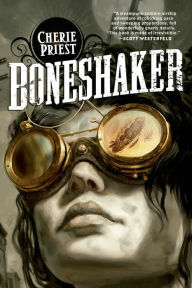 Beautiful cover and fun premise! Congratulations Karen!